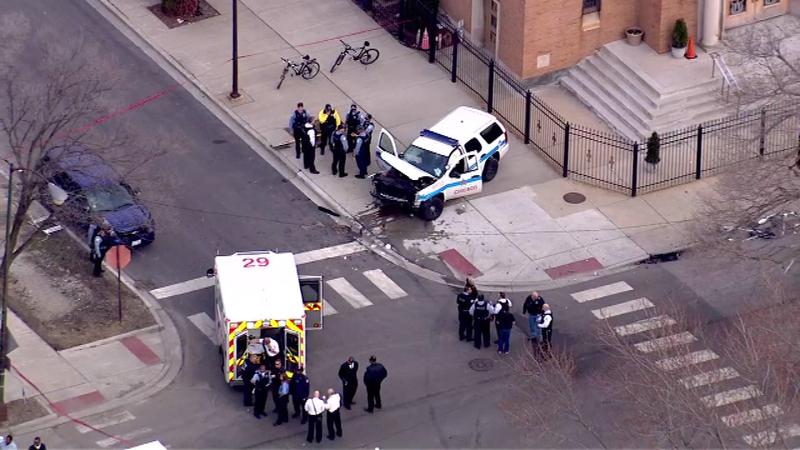 CHICAGO (WLS) -- Two police officers were among four people hurt in a West Roseland crash Monday afternoon. Chicago police said that officers were driving with sirens and lights on when they struck a car at the corner of 108th and State. Both police officers sustained non-life threatening injuries and were taken to Christ Hospital for treatment. The driver of the Impala, a 35-year-old woman, refused medical treatment on the scene. Her passenger, a 43-year-old man, was taken to Stroger Hospital to treat non-life-threatening injuries.